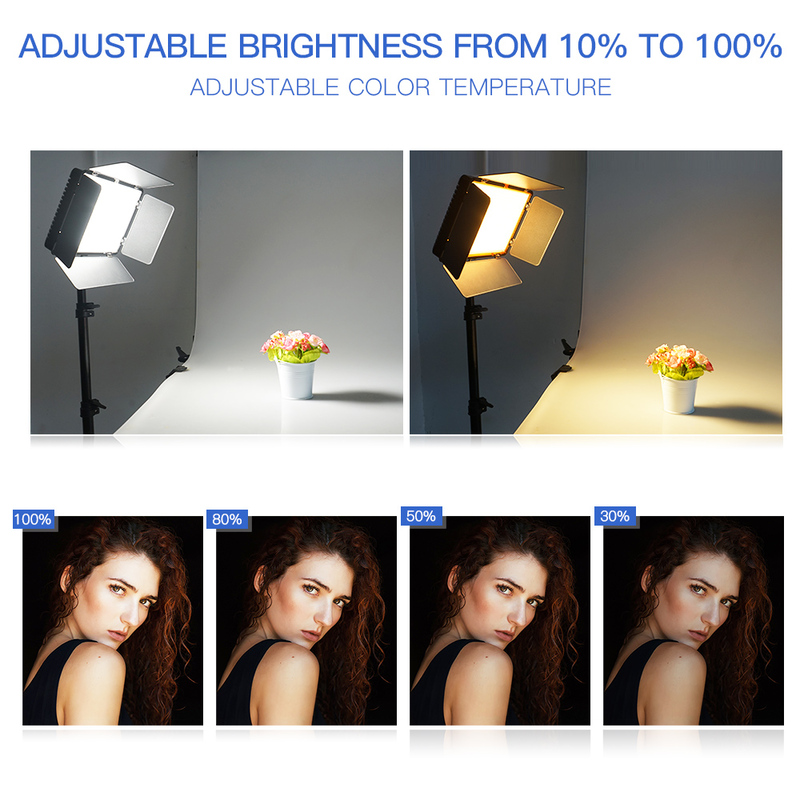 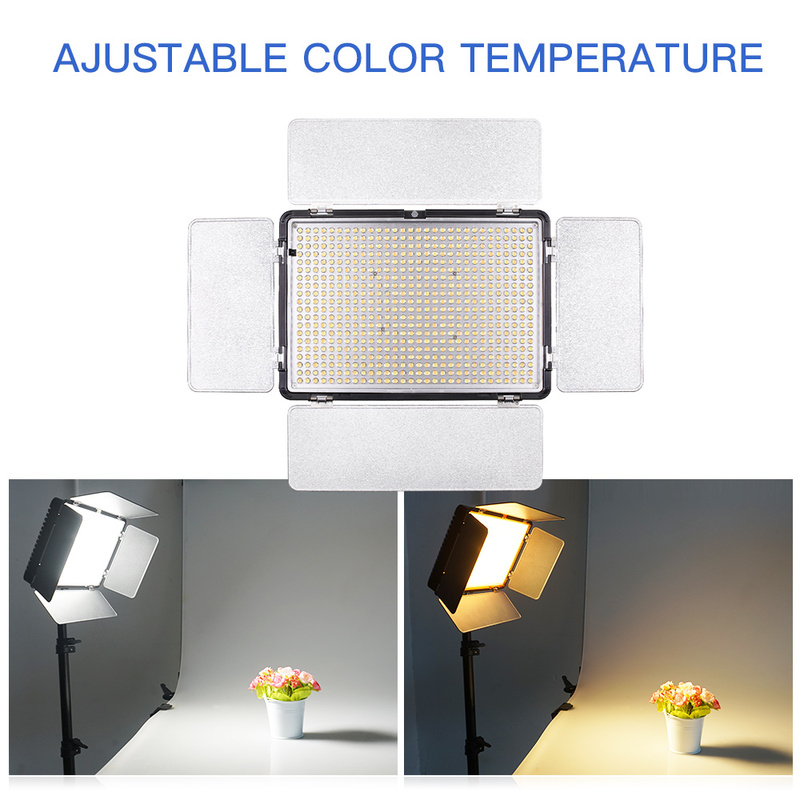 Adopt 600pcs Super bright daylight Led beads CRI93 , low heat and power consumption. 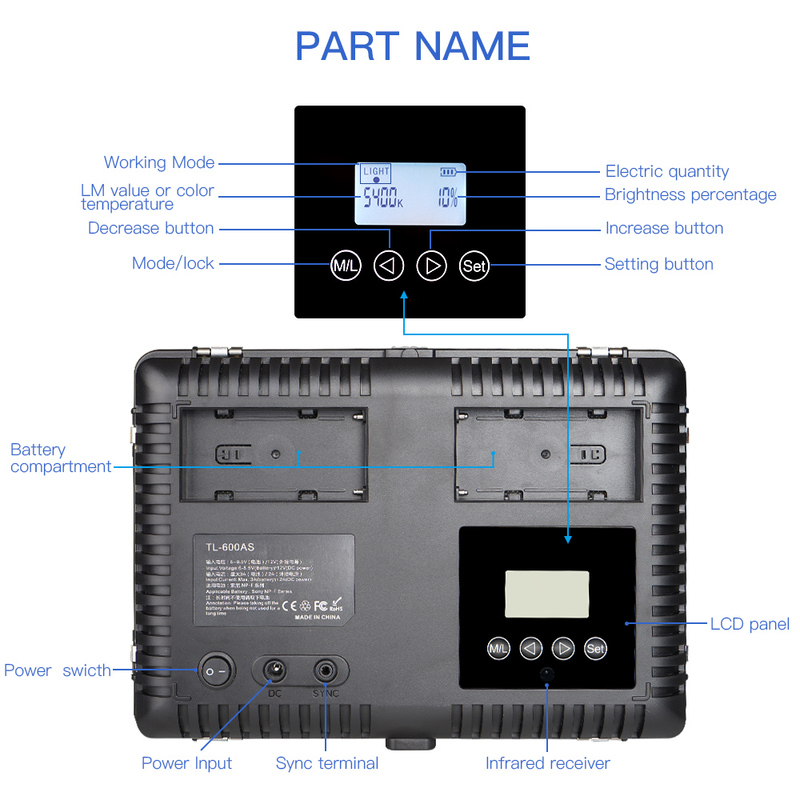 Design with two battery slots can be installed two batteries at the same time ,make it use longer time . 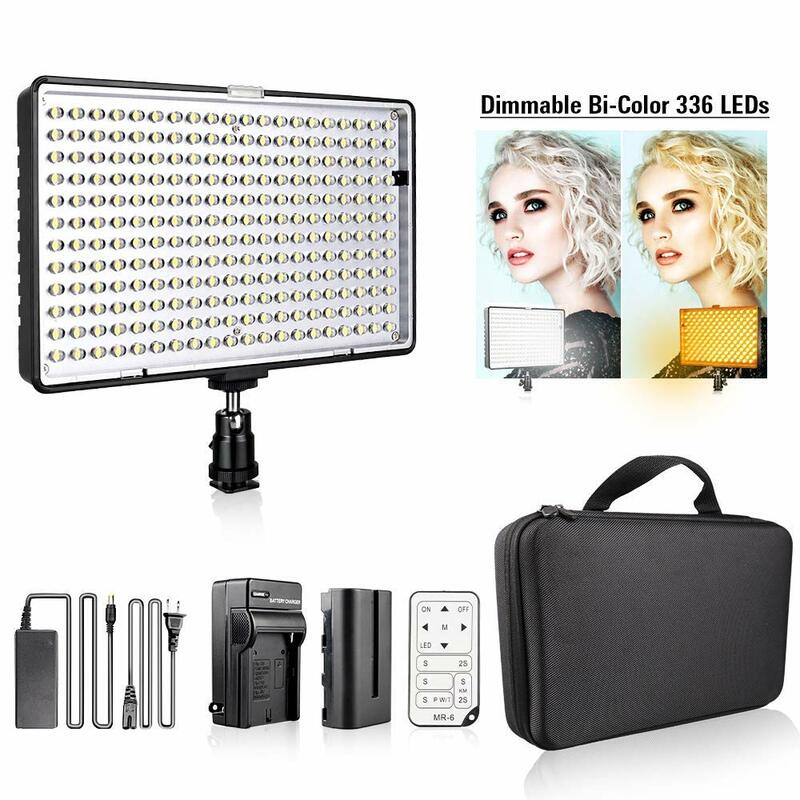 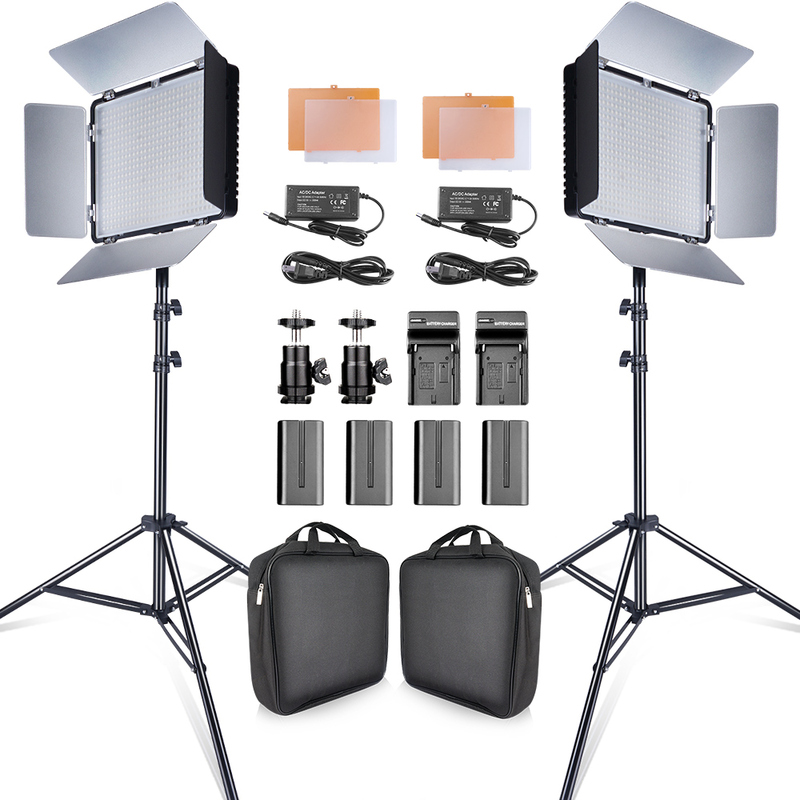 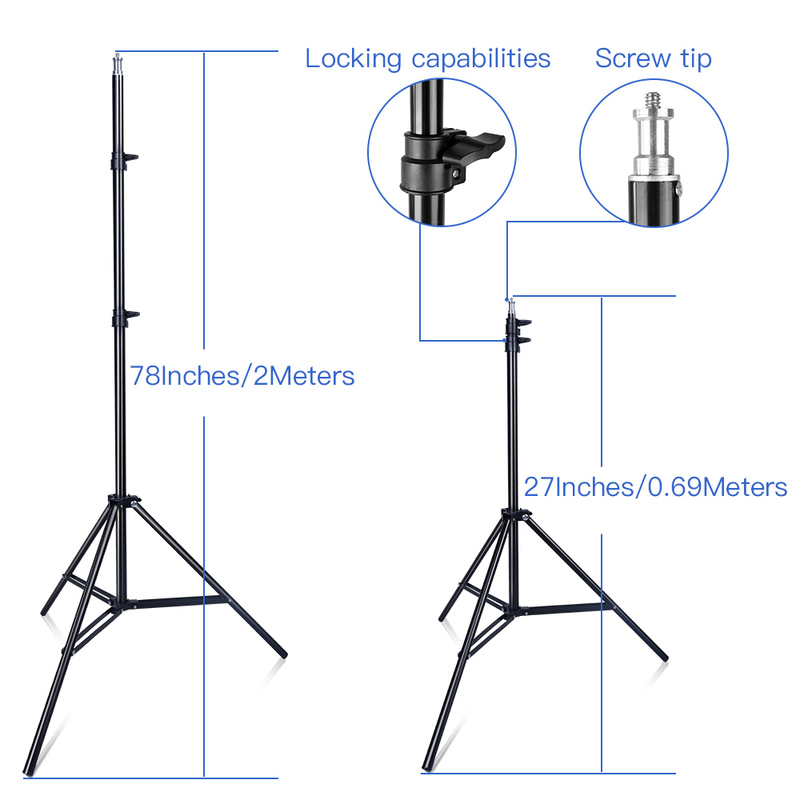 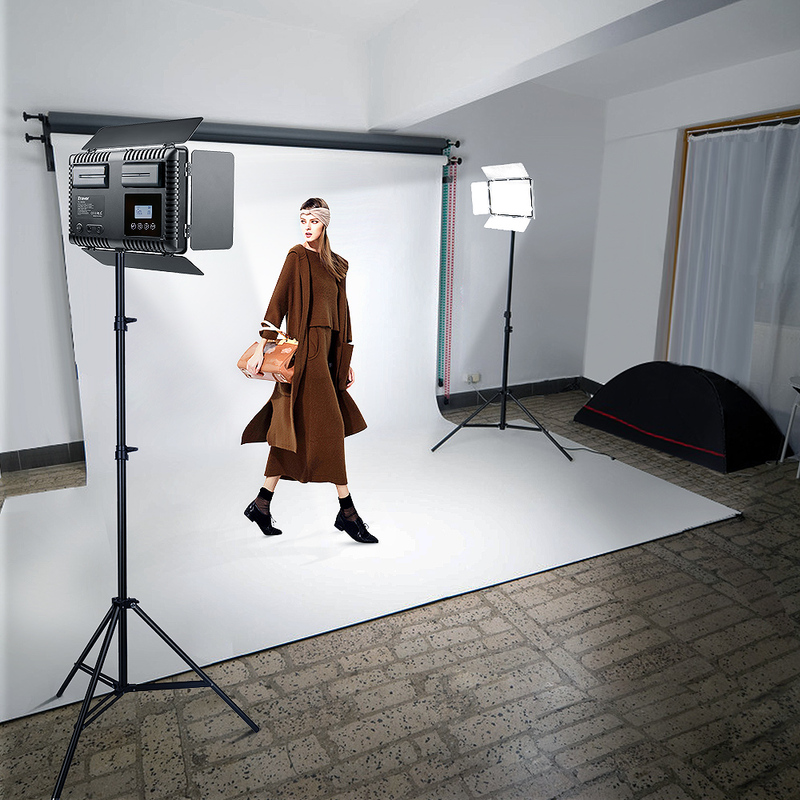 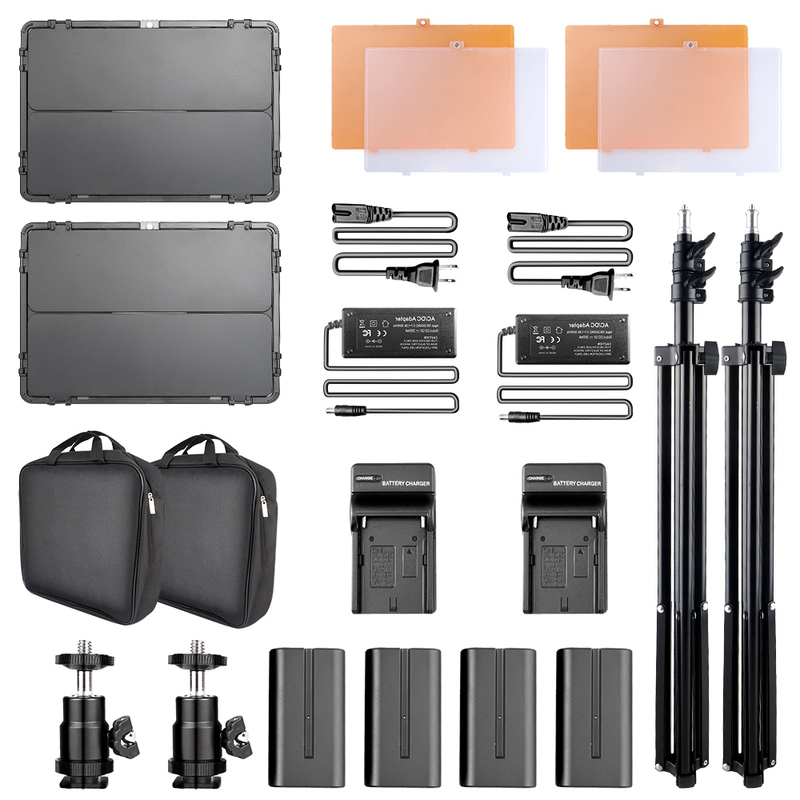 Equipped with 2m light stand with 1/4’ standard screw could put the light on the tripod ans use the ball head adjust the lighting angle .